1 in 5 girls and 1 in 10 boys will be sexually victimized. Every year more than 750,000 kids go missing. Victimization = a lifetime of suffering and behavioral issues. 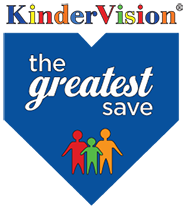 Launched in 1991 in Southern California as a result of the kidnapping and murder of seven year old Leticia Hernandez, the KinderVision Foundation¹s (KVF) The Greatest Save (TGS) is a is a nonprofit 501c3 national crime prevention program and national personal safety education program dedicated to protecting children and teens from sexual exploitation, abduction and human trafficking. Funding provides safety materials free to children, teens and families whenever possible on site, on air, and on line. Developed with the assistance of law enforcement and research including an interview with a convicted child killer, The Greatest Save teaches personal safety via a unique, pro-active multimedia program that uses several complementary approaches including age appropriate TGS Safety Education DVDs (K.I.N.D.I., Little Red Said and Big League Interview), on-site TGS Kids Events, Family Safety Surveys, Parent Seminars, comprehensive on-line elements, TGS Safety Quiz and TGS Classroom Materials, and the highly acclaimed TGS Teen PSA Program-all designed to be an ongoing resources to teach children and teens how to avoid sexual predators ­ because when it comes to kids, The Greatest Save is the one we never have to make. Added in 2005, The Greatest Save name reflects KinderVision¹s focus on older children and teens as well as young children and its ongoing partnership with Major League Baseball, Media, Law Enforcement and Educators nationwide. A recognized charity of Major League Baseball since 1992 and supported by law enforcement nationwide, millions of children have benefitted from the KinderVision Foundation¹s The Greatest Save proactive ³Prevention Through Education² approach used by law enforcement, schools, youth serving organizations and families since its inception to teach children of all ages to instinctively recognize risk and respond appropriately preventing a lifetime of suffering. Hey Doug & Nancy, Sorry for the delay. Thanks again for a great time in Kokomo. If there's anything you guys need or any other way I can help please just let me know. Knowing the way of the world today and with two very young daughters, your work is something I definitely want to support. I apologize that my donation isn't bigger. As soon as I get my next bonus check I'll follow up with a more helpful donation. Thanks again, Tommy!